A Tribute to John Pecarek | DeLoach, Hofstra & Cavonis, P.A. 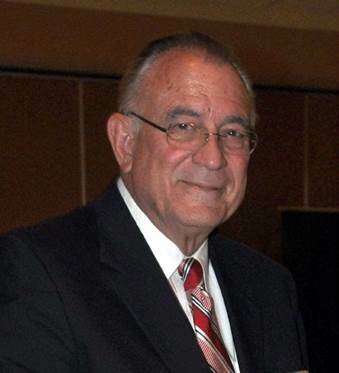 Our firm received a terrible shock when we heard about the death of John H. Pecarek on January 16, 2019. John had been practicing wills, trust and probate law in the Largo area for over 40 years. He had an excellent reputation as a friendly, knowledgeable attorney. He was great with his clients, good to his staff and knew his law. Not all estate planning and probate attorneys are created equal but John was one of the best. My partner, Paul Cavonis, described John as a "true gentleman attorney" and that our legal profession needed more like him. John was looking to retire this year and we were in negotiations to acquire his estate planning and probate practice. He was already telling his clients that he was retiring and that he recommended me as their next estate planning and probate attorney. In my time working with John I got to see his devotion to his clients, his honesty, his thoroughness, and legal aptitude. With retirement in sight, he knew that turning his practice over to our firm meant that his clients would be taken care of in the same manner he would have. Also, I had a great connection to his family besides practicing law. His wife, Paula, taught me in high school, I graduated Seminole High School with his daughter, Holly, and I got to know his youngest daughter, Beth, in school as well. I knew his whole family and it made me proud that we could work together to continue his legal legacy. The Largo Leader gave an amazing write up of John, his life, and his law practice at this link. Our hearts go out to his lovely wife, Paula, and his daughters, Holly and Beth. John was a great man and an excellent attorney. I know that his clients, friends and the local legal community will miss him.